The legend of Lavinia Fisher has been told and retold since her execution in Charleston, South Carolina in 1820 and with each telling it has grown more extravagant and further from the truth. Today tourist pamphlets and web sites will earnestly tell you that Lavinia was America’s first female serial killer when, in fact, there is no hard evidence that she ever killed anyone. We do know that she was a violent and unrepentant outlaw, but she earned her fame by being a tough woman with a bad attitude in a town known for its genteel southern belles. The legend of Lavinia Fisher will vary from teller to teller but the gist of the story told for the last 120 years goes something like this. John and Lavinia Fisher owned an inn, the Six Mile House, on a lonely road outside of Charleston, South Carolina. The building was well maintained and was a welcome sight to weary travelers, but it was rumored that sometimes guests checked in and did not check out. One night a fur trader named John Peoples stopped at the inn and was warmly greeted by the Fishers. The beautiful Lavinia Fisher was especially friendly. Peoples thought the Fishers were being a little too friendly and, suspicious of their intentions, he went to bed early. People’s suspicions grew and he could not sleep. He decided not to lie in the bed but to sit in the corner facing the door so he could see if anyone came in to attack him. His suspicions were confirmed when a trapdoor sprung, dropping the bed into the cellar where John Fisher was waiting with an axe. Peoples escaped and hurried back to Charleston to tell the authorities. John and Lavinia were arrested and their property searched. The human remains were found, including many bodies in a lime pit in the cellar under the trap door. The Fishers were convicted of murder and sentenced to hang. The unrepentant, Lavinia Fisher went to the gallows in 1820 wearing her wedding dress. John Fisher pinned all the blame on his wife, but he was hanged along with her. Lavinia’s ghost now haunts the Old Jail on Magazine Street in Charleston as well as the Unitarian Cemetary. At Murder by Gaslight we love a good legend, but we love the truth even more. Lavinia Fisher was hanged in 1820 but the crime was highway robbery— a capital offense at the time—not murder. She was a member of a large gang of highwaymen who operated out of two houses in the Backcountry outside of Charleston, the Five Mile House and the Six Mile House. It is not clear whether or not the Six Mile House was a hotel, but it did serve as hideout for a number of outlaws. A gang of desperados have for some time past occupied certain houses in the vicinity of Ashley Ferry; practicing every deception upon the unwary and frequently committing robberies upon defenseless travelers. As they could not be identified, and thereby brought to punishment, it was determined, by a number of citizens, to break them up, and they accordingly proceeded, in a cavalcade, on Thursday afternoon, to the spot, having previously obtained permission of the owners of some small houses, to which these desperados resorted, to proceed against the premises in such manner as circumstances might require. The cavalcade proceeded first to the Five Mile House where they gave the occupants fifteen minutes to vacate the premises before they burned it to the ground. At the Six Mile House they evicted the occupants and left a man named Dave Ross behind to guard it. Believing their work was finished, the cavalcade returned to Charleston. The next morning, two men from the outlaw gang broke into the house and assaulted Dave Ross, driving him outside where he was surrounded by a gang of nine or ten men and one woman, the beautiful Lavinia Fisher. Ross looked to Lavinia for help, but she choked him and shoved his head through a window. Two hours later, John Peoples was heading out of Charleston in his wagon and stopped near the Six Mile House to water his horse. He was accosted by the gang, including Lavinia Fisher. They stole about forty dollars from him. This, along with Dave Ross’s story, forced the authorities to act. 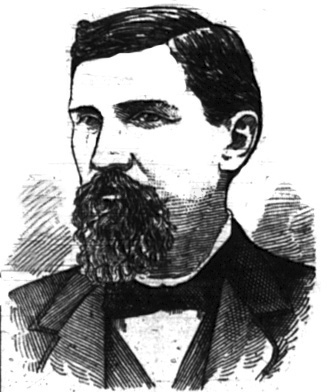 Sheriff’s deputy Colonel Nathanial Green Cleary got a bench warrant from Judge Charles Jones Colcock and set out for Six Mile House. John and Lavinia Fisher, along with several members of the gang, gave up without a fight and were taken to jail in Charleston. Over the next several days many other gang members were arrested. John Peoples identified them as the group who robbed him. John and Lavinia Fisher were charged with highway robbery—a hanging offense at the time. While they were awaiting trial, a grave containing the remains of two human bodies, was found about 200 yards from Six Mile House. They were believed to be the bodies of a white man and a black woman, dead for at least two years. With so many people in and out of Six Mile House during that time, it was impossible to identify their killers and no one was ever charged with their murder. Only two bodies, no more, were found at Six Mile House. The Fishers pleaded not guilty to the charge of highway robber, but the jury thought otherwise. Verdict: Guilty of highway robbery. John and Lavinia planned to appeal their conviction to the Constitutional Court and while they awaited the hearing they were kept in the Charleston jail. Because they were a married couple, John and Lavinia were kept in the debtors’ quarters in the upper part of the jail rather than the heavily guarded lower floor. On September 13 they attempted to escape through a hole they made under the window of the cell. John went first down a rope made of blankets but it broke before he reached the ground. He could have escaped alone but chose to stay behind with Lavinia. Their motion for a retrial was rejected by the Constitutional Court and the Fishers could do nothing now but wait for execution. The Reverend Richard Furman would visit them often to help them make peace with their maker. He appeared to make some headway with John, but Lavinia was more likely to curse than pray. On February 4, 1820 they were taken to a gallows erected on Meeting Street just outside the city limits of Charleston. Each was wearing a loose-fitting white robe over their clothes, possibly the source of the “wedding dress” myth. It was a public execution and everyone, including the fine ladies of Charleston, came out to see Lavinia Fisher hang. When Lavinia was quiet Reverend Furman read a letter from John Fisher in which he thanked the reverend for “explaining the mysteries of our Holy Religion.” John then told the crowd he was innocent and blamed Colonel Cleary for coaching the witness who accused him. 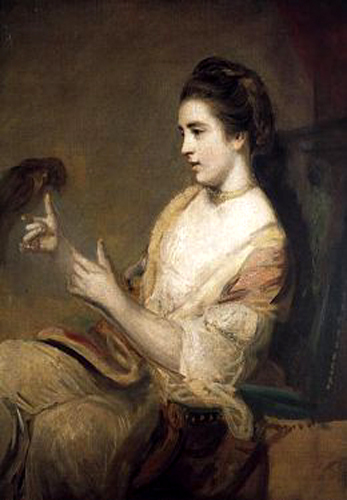 Written stories of Lavinia Fisher are usually accompanied by a painting—at the top of this post— alleged to be a portrait of Lavinia. It begs the question, when did she pose for it? During her life as a highwayman in the squalor of Six Mile House, or in the year she spent in Charleston jail? The Fishers were burried in a potter's field, not the Untiterian Cementery Lavinia supposedly haunts. Lavinia Fisher is included in Murder by Gaslight because of her legend as a murderess. In fact, it is unlikely that she ever murdered anyone. It is likely that somewhere along the line the legend of Lavinia Fisher became confused with the true and well-documented crimes of the “Bloody” Bender Family, in Kansas, 1870s. Hendrix, Pat. Murder And Mayhem in the Holy City . Seattle: History Press, 2006. Petro, Pamela. Sitting Up With the Dead: A Storied Journey through the American South . 1 ed. New York: Arcade Publishing, 2002. It sounds like the "murder" legend was lifted wholesale from the (apparently true) story of the Bender family, in Kansas. But with last words like Lavinia's, who needs legend? It does sound like the Benders. I'll have to do a post about them. As for Lavinia, I think she is more interesting as a highwayman than a serial killer. Love this site, please keep up the posts and stories. I find them all just fascinating to read. Thank you fory our time and devotion to them, I am sure many hours are put into each. The newspaper article on the execution great! Find a Grave is a fantastic resoruce. Thank you for solving that mystery. 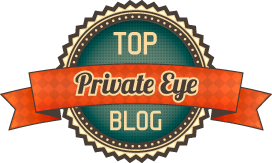 It is used by several web sites that tell mythical story. Good to know that the portrait is just as phoney as the story. Cool picture though. Very good you did your homework, however I assure you they were kept in the upper cell during the escape attempt At the time the cages were 8 x 6 feet and the guards could move them. Cells windows with no glass, hay on the floor, ate mostly bread & water, drank water from the roof cistern barrels, used a bucket for a toilet, didn't shower. None of that existed in the jail between 1810 & 1819 when she was caught and incarcerated. As a guide in the jail I did my homework also. Thank you charlstonghostlady, send me your sources and I will make any necessary changes. Well I'm fixing to go to that town my family for many years back did live in that town at one point should i go visit that jail I'm brushing up my history on this town so i know what to look for where to go first please write me and let me know i need to know thanks e-mail is klr0726@aol.com. She didn't say “If you have a message you want to send to hell, give it to me—I’ll carry it.” She said "if any of you have a message for the devil tell me now for i will carry it." I only know what I read. If you want to correct me please include a written source. Ghost adventures proves that the last line Lavinia said was "If anyone of you have a message for the Devil,give it to me,for I am about to meet him!" I'm not sure how one would "prove" Lavinia Fisher's last words. I'm going to stick with the quote from _Murder and Mayhem in the Holy City_ ; it's a well researched book by a South Carolina author. Anyone know the present day location of where the Six Mile House stood? I did hear off Rivers Ave but not sure that's a credible source. Also, if the story is made up, what was the explanation used for the missing people who stayed at the Six Mile House? Six Mile House was not an inn. It was a house used by highwaymen. What is your source for "missing people who stayed at Six Mile House" ? Obviously, the above article is one of many that state the same thing and I'm sure the majority have been exaggerated but, nonetheless, many men supposedly disappeared after last being seen at the Six Mile Wayfarer House. Although there was no evidence found against the Fishers, it's still enough to raise and eyebrow in my opinion. He doesn't list his sources. It’s a major problem on the internet; anybody can say anything if they don’t have to back it up with research. My information comes from the sources listed above. I went on a ghost tour while visiting Charleston a few years ago where the tour guide told the group the story of the Fishers and how they robbed and killed the guests at the inn. The story concluded with the ghost of Lavinia has been seen dancing onthe grave of the judge in the Unitarian Cemetery. I didn't know the true story, which is just as fascinating. Did they ( John & Lavinia ) have any children? "Did they ( John & Lavinia ) have any children?" I just recently watched a Ghost Adventures story, and they were in the same Jail as Lavinia was reportedly in, and one of their team members Hagar got scratched up real bad. And each time there were three scrathes on her, and it scratched multiple times.I believe it was Lavinia telling them she wasn't a murderer. May Lavinia rest in peace and stop hurting people, she was also choking them, and they also went into the room where she was allegedly hung in her wedding dress. I am not able to find any other stories about Lavina except this one, and the people who actually work at that old jail, and it attracts many tourists, and they claim to be scratched as well, and it is mostly and frequently happened to women, so any brave women who go there, watch out, and after being scratched it leaves this burning sensation. I will never go there. I was there last night and the tour guide is also a history major. He has researched this and confirmed that Lavinia was never a confirmed murderer but convicted of highway robbery and was not hanged in her wedding dress. She is most seen at a particular window at the jail overlooking magazine street. She is not, however, the most active ghost there - that would be Cedric, a warden that was appointed when he was 19 and was strangled at 26 by an inmate and was reprimanded many times for his brutality towards the inmates. Crazy considering the already brutal conditions at the prison! As much as I love ghost adventures, they had Lavinia's story wrong. Not sure how Lavinia's story could have been "lifted" from the Kansas story since the Charleston story happened 50 years before ... and there are city newspaper accounts of her story from the week of the execution. 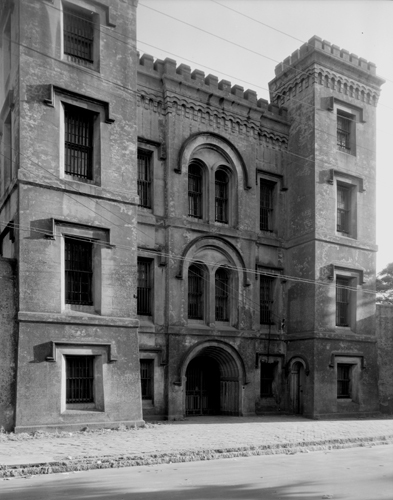 I was one of the first tour guides to give tours inside the Charleston City Jail and all the supposed ghost "sightings" of Lavinia are not true. The story, as told today, resembles the Bender family more than the true story of Lavinia Fisher. I have seen the newspaper accounts and they do not mention murder. I have also been to the Charleston Jail, where they now acknowledge that the murder story is fake, but tell it anyway. They also tell everyone that they can see, and even photograph, the ghosts of Lavinia and other prisoners. I would like to point out that this is Not the serial killer Lavinia Fisher but is in fact the celebrated English beauty KITTY FISHER , painted by Joshua Reynolds, hence the cat and the fishbowl . Thanks for posting this about the Fishers. I live in Charleston. The house where the Fishers lived, the so-called Six Mile House actually stood until the fall of 1969, when it was demolished during construction of the Charleston Naval Hospital. (City preservationists tried desperately to save the then-dilapidated house, but to no avail). It was built circa 1816 and when taken down in 1969, it was noted there were no 'hidden rooms, trap doors', or even a full cellar. Its unfortunate the house has not survived as it would REALLY be an attraction! (It was in fact one of the last of the "mile houses" along the old US52 near the city, which typically served as taverns and/or informal inns of sorts). The nearby Five Mile House, long gone, was also part of the same gang activity that had caused so much trouble for travelers in 1818-1819.